One of my favorite pieces of home decor accessories are lamps. Table lamps, standing lamps, lamps for gardens, wall lamps… you name it. It is not important what is the kind of the lamp as long as it’s unique and interesting and if you ask me the answer is – SOLD! 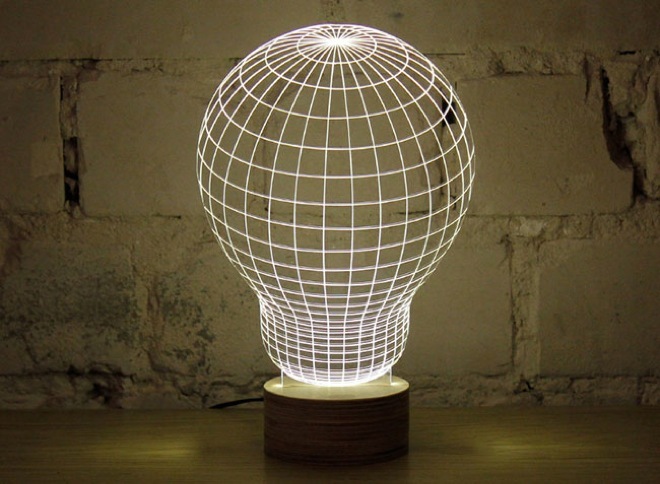 This is exactly the case with this optical illusion lamp. 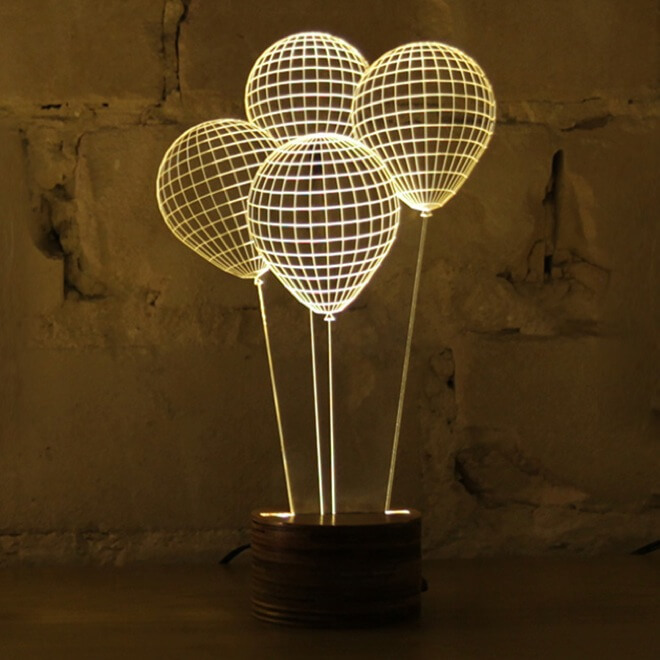 Nir Chehanowski of Studio Cheha came up with a brilliant lamp design, named “Bulbing”. As you can see from the photos in the gallery there are several variations of this lamp illusion and, besides the awesome look, they all have one thing in common – they play with your eyes or in other words, they trick you. How is that so? 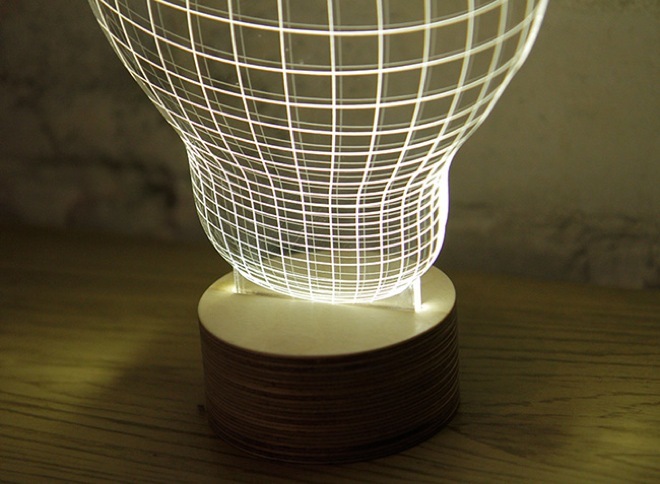 “Bulbing” is a clever optical illusion lamp created using round base which emanates light through a thin slit. So, when you place a provided 2D changeable acrylic glass shapes on it, that light irradiates the shape creating a nice 3D light illusion. 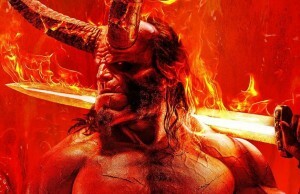 Awesome, right?! 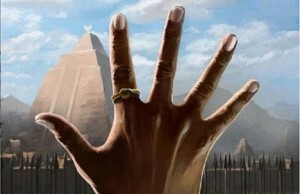 This project is placed on Kickstarter. 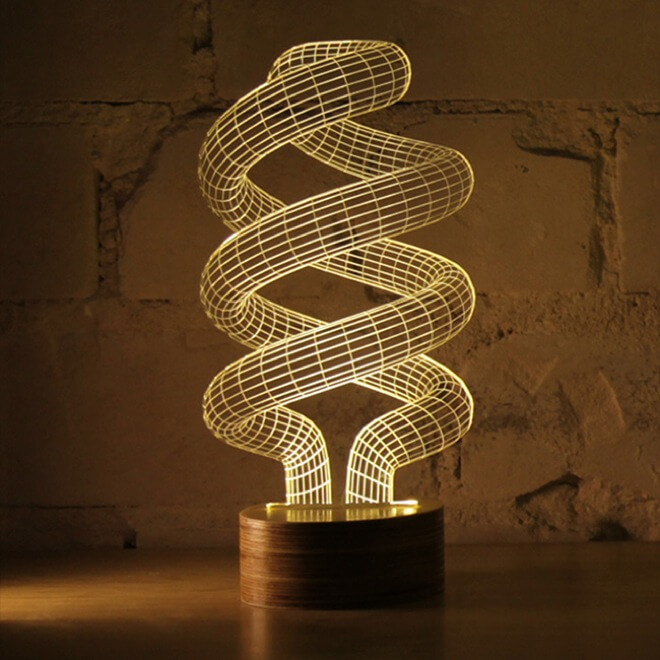 You can support the Studio Chena’s optical illusion lamp here. 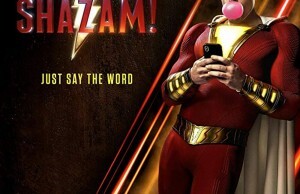 Actually, they’ve already fulfilled their goal and I guess we can expect this lamp on the market very soon. 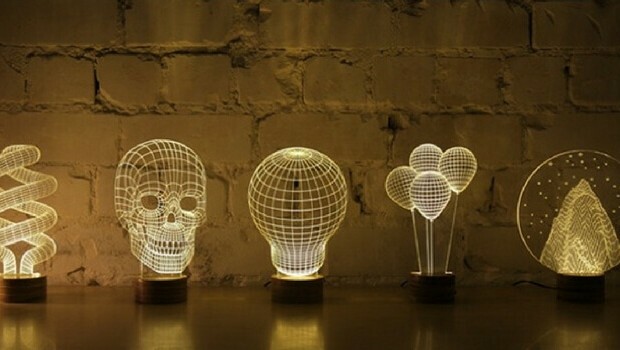 Let’s check out the photos of the awesome optical illusion lamp in the gallery below. Studio Cheha came up with a brilliant lamp design, named “Bulbing”. 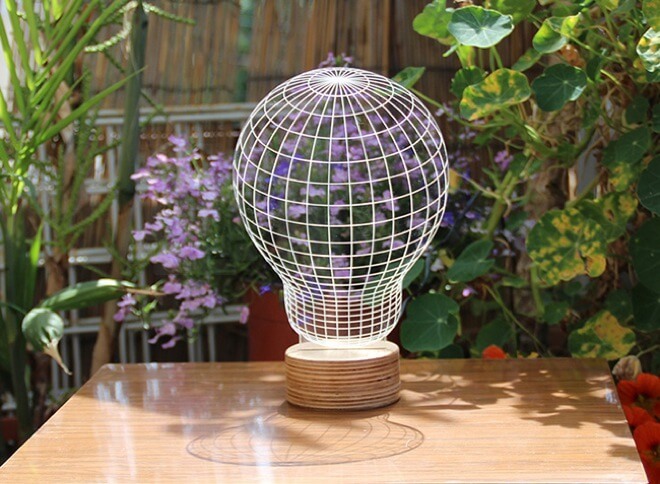 The 3D optical illusion is created using round base which emanates light through a thin slit. When you place provided 2D changeable acrylic glass shapes on it, that light irradiates the shape you can see in the photos. 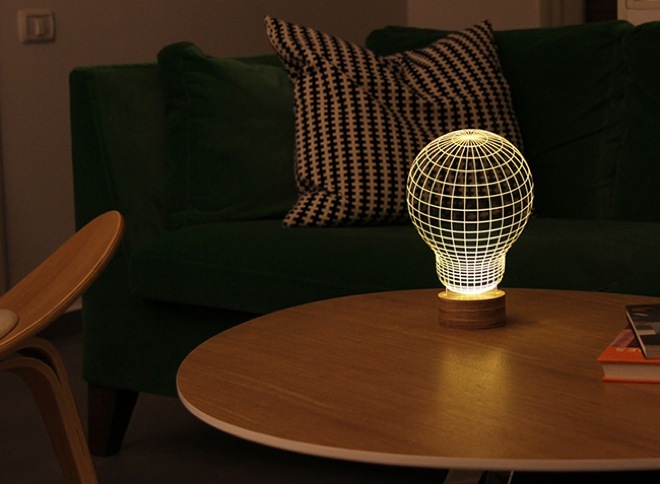 Keep scrolling for more photos of brilliant 3d optical illusion created by “Bulbing” lamp. Placing the 2D acrylic glass shapes on the lamp base. 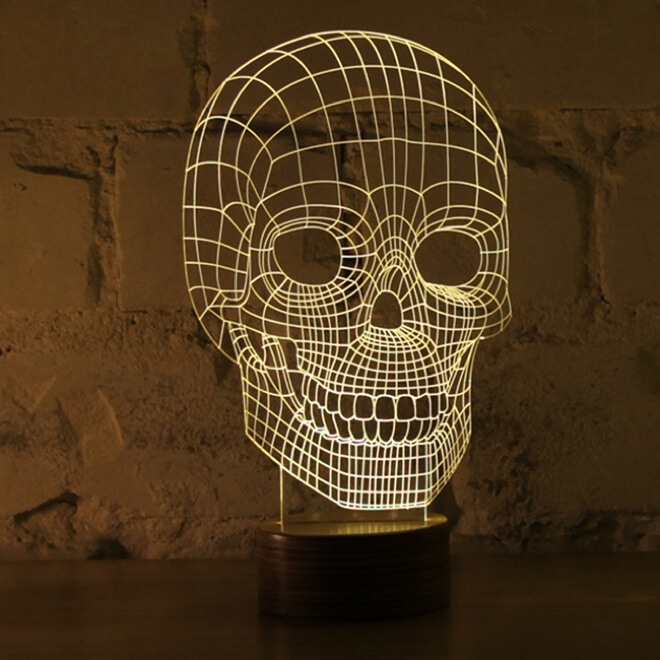 I bet your friends will find this lamp awesome as well, share with them this post!